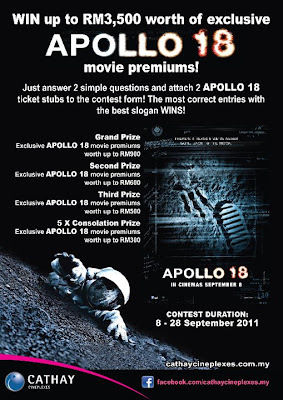 Answer 2 simple question & attach 2 APOLLO 18 ticket stubs to the contest form. The most correct entries with the best slogan wins! Visit Cathay Cineplexes Facebook fan page for more detail. 23 September, 6pm, Speed City KL: Guinness Arthur's Day is back and it's gonna be another awesome party. Find out more!